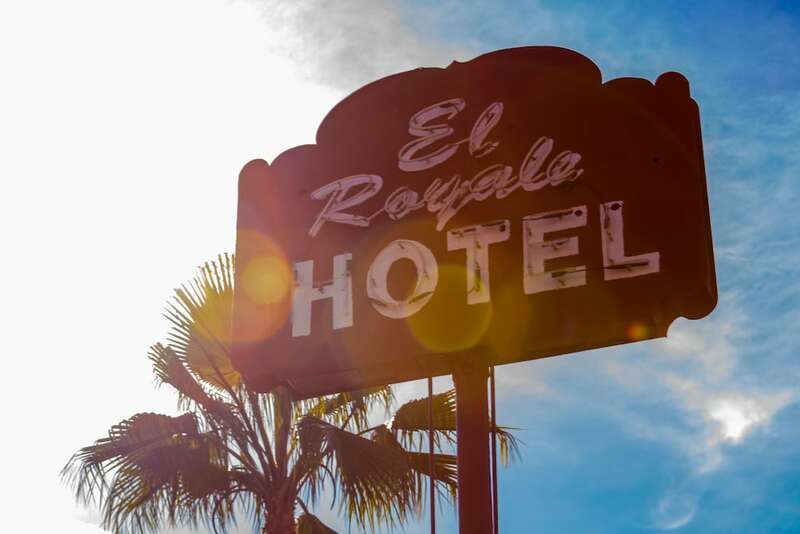 With a stay at El Royale Hotel Near Universal Studios Hollywood, you'll be centrally located in Studio City, a 5-minute drive from Universal Studios Hollywood™ and 5 minutes from Universal CityWalk. This golf motel is 3.8 mi (6.1 km) from Warner Brothers Studio and 3.9 mi (6.3 km) from Dolby Theater. Make yourself at home in one of the 14 air-conditioned rooms featuring refrigerators and microwaves. Flat-screen televisions with digital programming provide entertainment, while complimentary wireless Internet access keeps you connected. Bathrooms have shower/tub combinations and complimentary toiletries. Conveniences include safes and desks, and housekeeping is provided daily. The motel offers a coffee shop/café. Guests can enjoy a complimentary breakfast each morning. Public areas are equipped with complimentary wireless Internet access. A business center is on site. This Colonial motel also offers a library, tour/ticket assistance, and concierge services. Onsite self parking is complimentary. El Royale Hotel Near Universal Studios Hollywood is a smoke-free property. Rollaway/extra beds are available for USD 16.0 per night.